If you love color and think that the explosion of neutral decor is boring, then you’re going to love this month’s featured designer, Colordrunk Designs. …to calm, serene and sophisticated. The owner, Jenna, says that her lifelong dream of owning her own design firm came true when she was featured on TLC’s show, Four Houses. She offers onsite services for clients in the southeast and edesign services for longer distance clients. 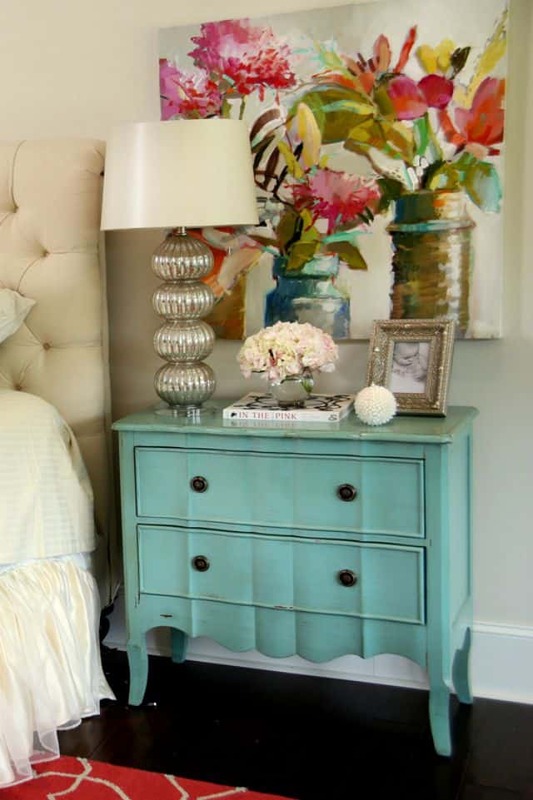 Click HERE for more inspiration and to learn even more about Colordrunk Designs. 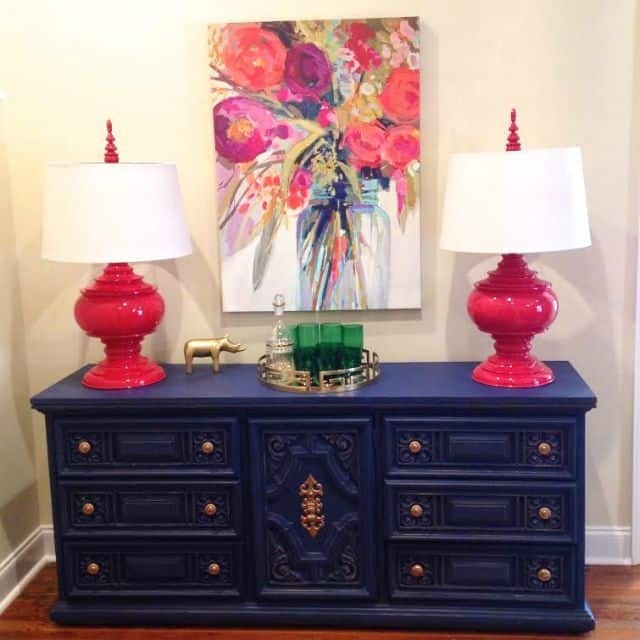 And click HERE to see more inspiring interiors from the Designer Spotlight. I love the splashes of color. We bought a house with colors I am stuck with — my Honey doesn’t want to spend a fortune gutting bathrooms — one has dusty rose fixtures and tile — remember that color. Really dated!! 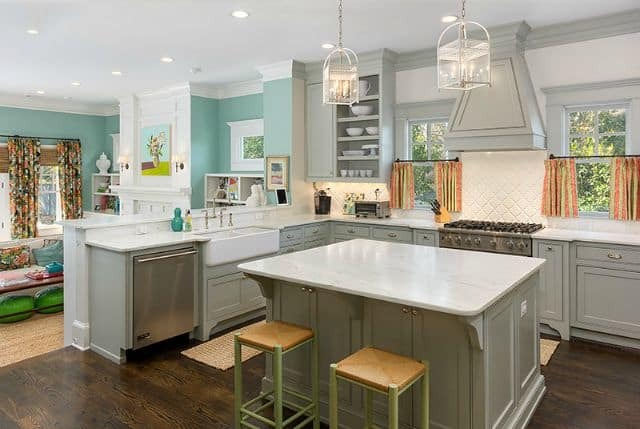 Now the kitchen has nice handmade cabinets in a light washed finish but the counter and back splash is turquoise formica. Yep!! to replace that you’d have to tear out the cabinets — major work!!! Ugh!! 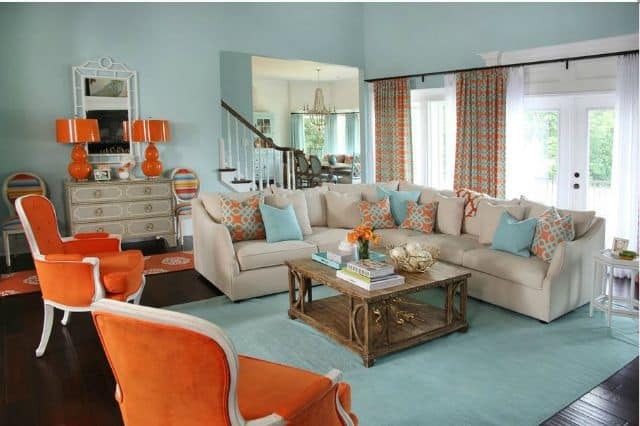 fI never would have put turquoise anywhere in my house except as an accent color. *sigh* So the color combinations above are giving me some ideas. Thank you Suzy– this is really helping. Hi Marisa. Oh yes – I remember dusty rose well. I’m glad you were able to find some inspiration for working with what you have. I was in that same situation in my last house and I know it isn’t easy. Best of luck! 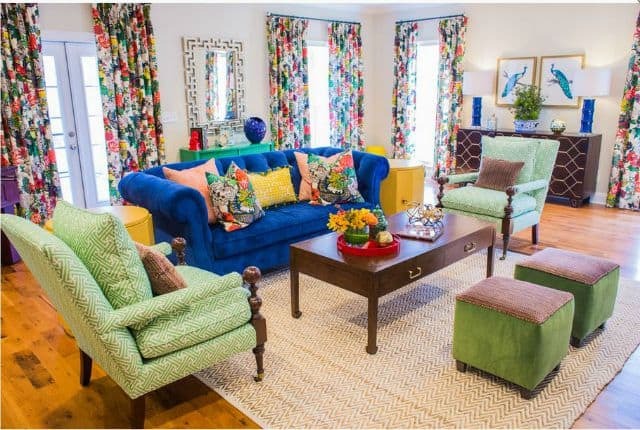 I LOVE color Suzy, and am so happy it has come back in style! Jenna and I must be soul sisters, with the same name! She is definitely fearless, bravo! I’m glad to see more color showing up to, Jenna. So glad you found some inspiration!